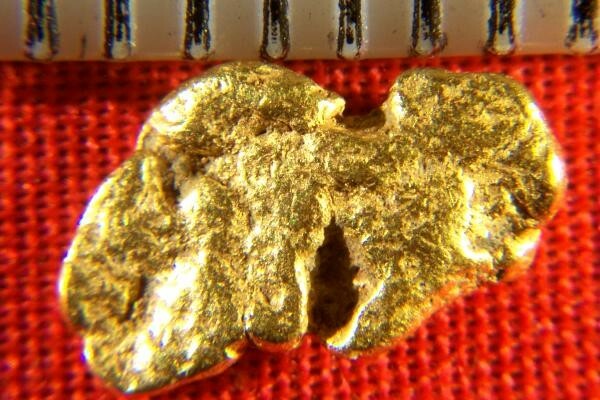 A very beautifully shaped natural gold nugget from British Columbia in Canada. It has great color and texture and a very high purity. The weight is 15.5 Grains (1.0 Grams). It is 7/16" (10 mm) long. This beautiful gold nugget has a naturally smooth finish from river or glacier action. 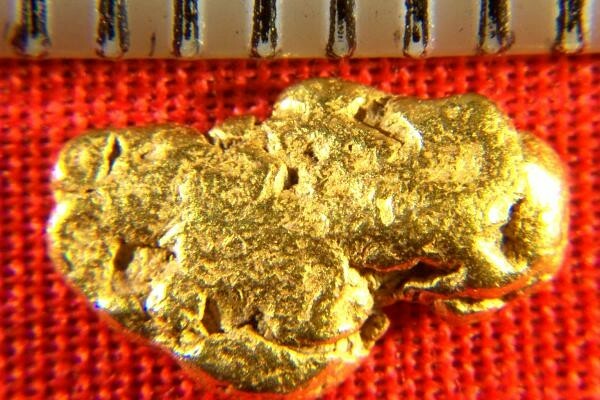 A real beautiful gold specimen to add to your collection.